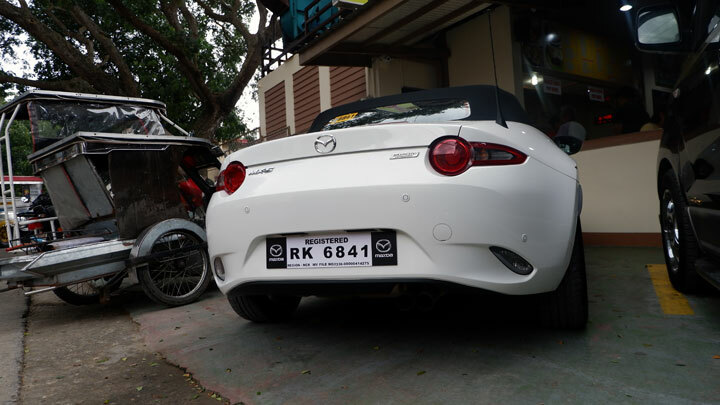 It’s been three years since the fourth-generation Mazda MX-5 arrived in the country. And if we’re being honest, by this point we’ve reviewed the lovable roadster ad nauseam. We’ve written every conceivable thing about the current Miata—reviews, features, comprehensive test and comparos. We’ve also produced a fair few videos. Hell, we’ve even written a how-to guide on convincing your wife that this car is worth buying. (Need some pointers? Read on). We leave no stone unturned here at Top Gear PH. 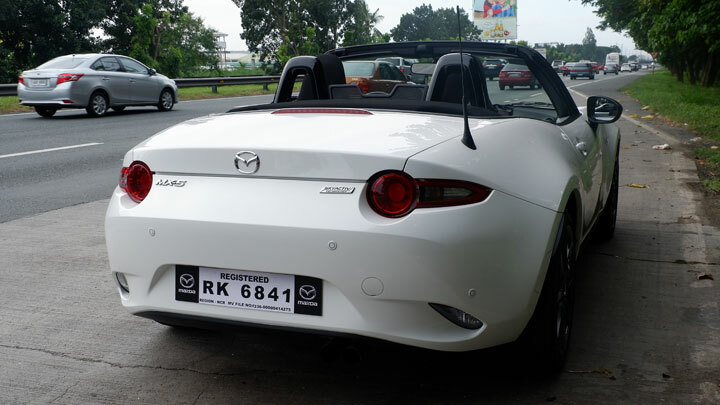 So for this test drive with the manual soft-top, I decided to see how the roadster would fare as a date car. And we’re not talking about just any ordinary, traffic-riddled date to a restaurant in the metro, replete with angled parking-lot ramps I’d have to stress about. No, a car like this calls for an open road. 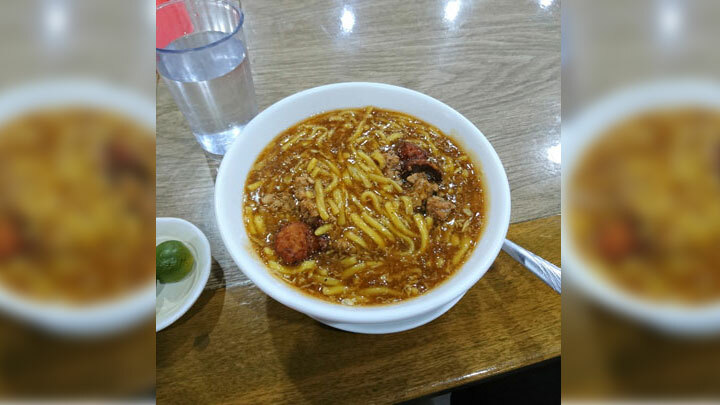 For this date, my girlfriend and I drove south to Batangas to sample the region’s famous lomi. Why use this as a date car? Well, my logic was simple: It has just enough room for two people and little else. No, really. The intimate cabin can seat two, and in the back is a trunk as big as a decent-sized duffel bag. There’s not a lot of ‘car’ to speak of and few details to gloss over. And that’s perfect. A good date is never about how nice the furniture is inside the restaurant, right? 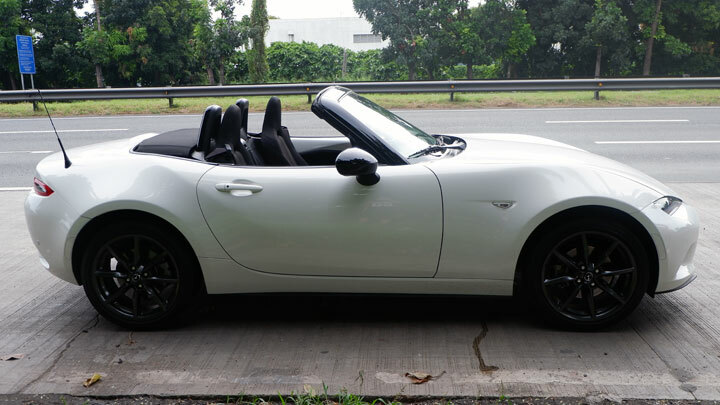 Of course, what the MX-5 lacks in space on the inside, it makes up for when you put the roof down. After that, it’s as if the blue sky opens up and invites you to mingle among the clouds. 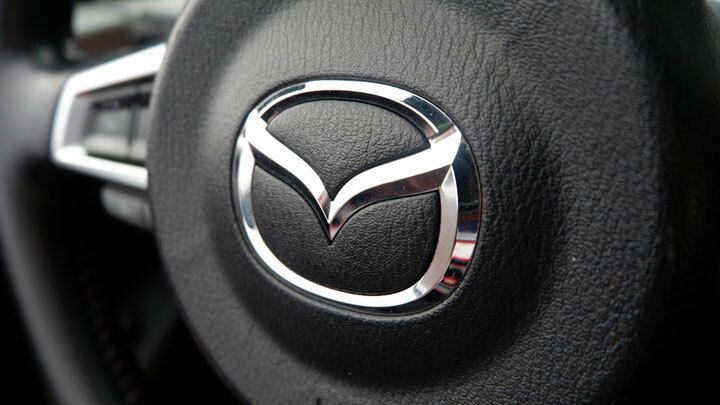 In this setting, the Mazda truly shines. We hit SLEX on a late Sunday morning when the highways were at their clearest. I tested the revs all the way up to 100kph, then settled in sixth gear to enjoy the cruise. With only 158hp and 200Nm on tap (this is the pre-facelift version) from the 2.0-liter engine, you don’t have much to play with. Sure, the lightweight body and rear-wheel drivetrain make accelerating a fun and reasonably brisk exercise, but this roadster wasn’t built to set speed records. Instead, it connects your body to the road in a way few other cars can. 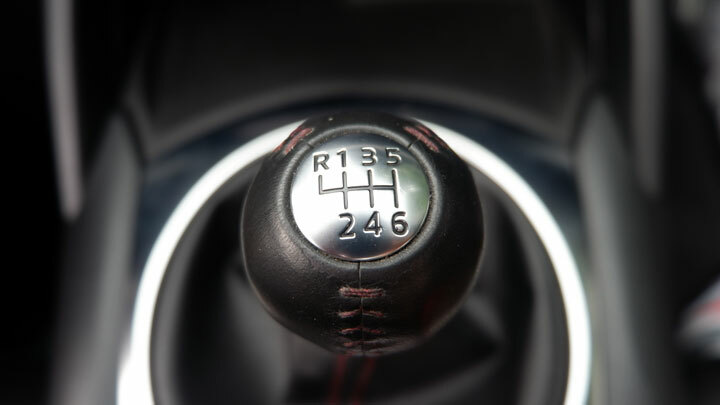 Driving the manual variant, whose transmission slots in and out of gears in a satisfying manner (akin to the satisfaction of inserting a USB drive or cable into the port correctly at the first attempt), you get the sense that man and machine truly become one. Or, in the case of a date, man and woman bond with each other as well as with the car. Every well-timed gear shift, every precise turn of the responsive wheel, every wiggle of the short but weighted rear end—it all makes you feel as if you’re falling in love all over again. Speaking of bonding, the Miata is best enjoyed with the top down. In the soft-top, you get the inevitable rattles here and there, not to mention that the sounds of the outside world easily pierce the fabric. 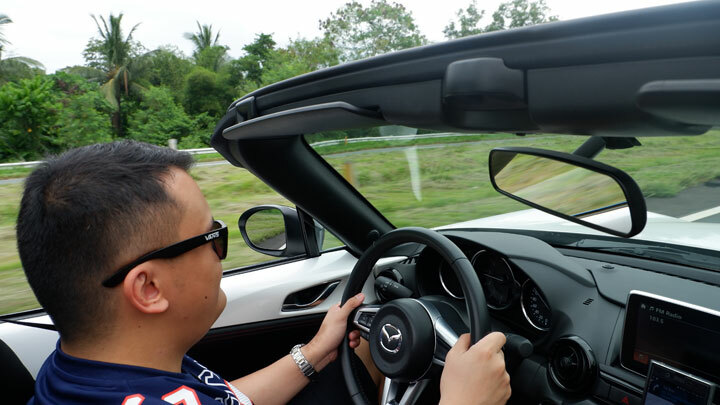 With the roof down, you get all the sensory pleasures a soothing drive can offer: the feel of the breeze in your hair, the sight of your date enjoying the journey, the smell of nature and asphalt, the sound of wind swooshing by, and the aftertaste of a well-prepared bowl of lomi. 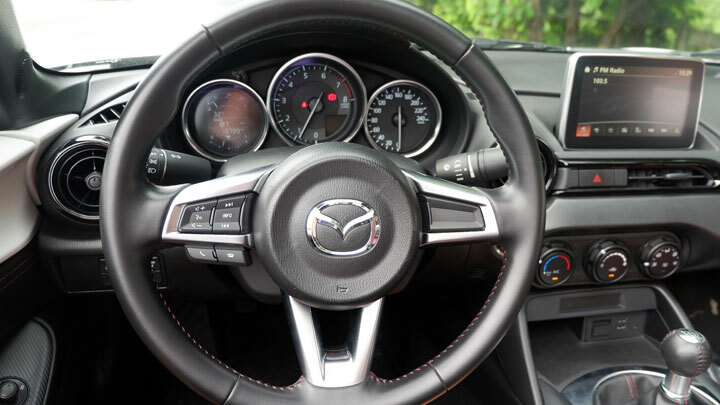 I’ve yet to drive the refreshed MX-5 with the more powerful engine, but I’m relieved it’s not equipped with any tech that takes the driver out of the driving equation. 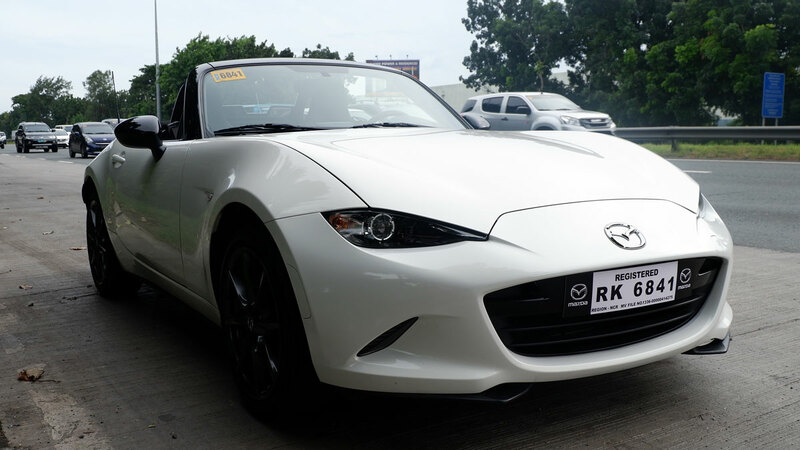 The ND Miata is a modern machine, yes, but its foundations stay true to the brand’s ethos of jinba ittai. And yes, when I say date car, the manual is a must-have. Your date may have qualms about your need to use both hands to drive at all times, but as someone who earned his stripes on the road driving a manual, I still find it the best way to enjoy the sensations of driving. And this is perhaps the biggest reason the manual MX-5 is ideal for spending quality time with that special someone. The car looks flashy on the outside, but really, there’s not a whole lot going on. It’s pure driving enjoyment between you and a machine that begs for your full attention. It engages all your senses at once—just like the perfect date with the right person. And that’s a feeling that never becomes ad nauseam.